Preheat oven to 325 degrees farenheight. Mix all of your dry ingredients in a large bowl. Add in all of your wet and mix until combined. Scoops batter into a lined cupcake tray. Fill each liner about ¾ full. Bake for 20 minutes. 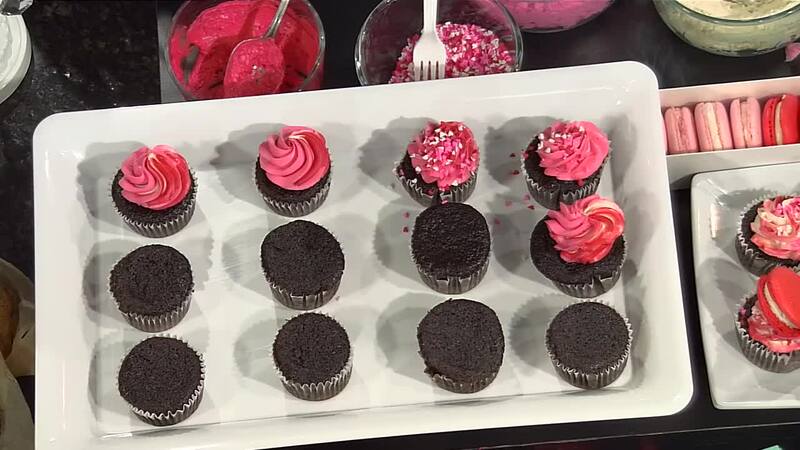 Place a toothpick into one of the cupcakes to make sure it comes out clean. Let cool completely before icing.